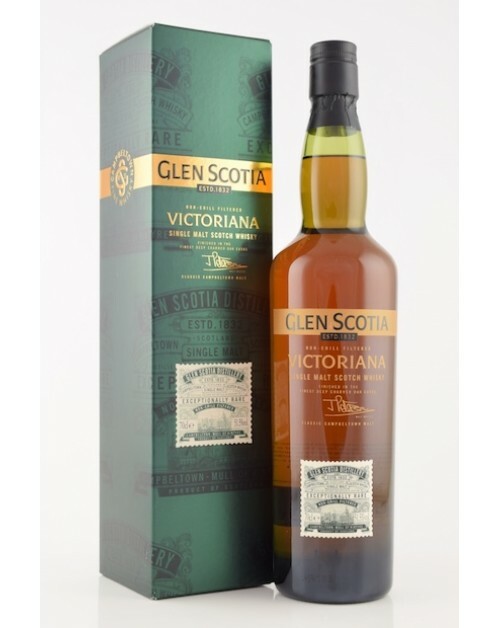 Glen Scotia Victoriana Single Malt Whisky is matured in casks chosen for their rare character and exceptional maturity. Finished in deep charred oak, the result is an exceptionally smooth single malt whisky whose aroma and flavour work in harmony. Bottled in the traditional way straight from the cask and without filtration, its subtle wood and vanilla flavour is enhanced by a full bodied spicy fruit aroma and mildly smokey aftertaste. Finish: Clean and initially sweet. The green bean, with cocoa characteristic.